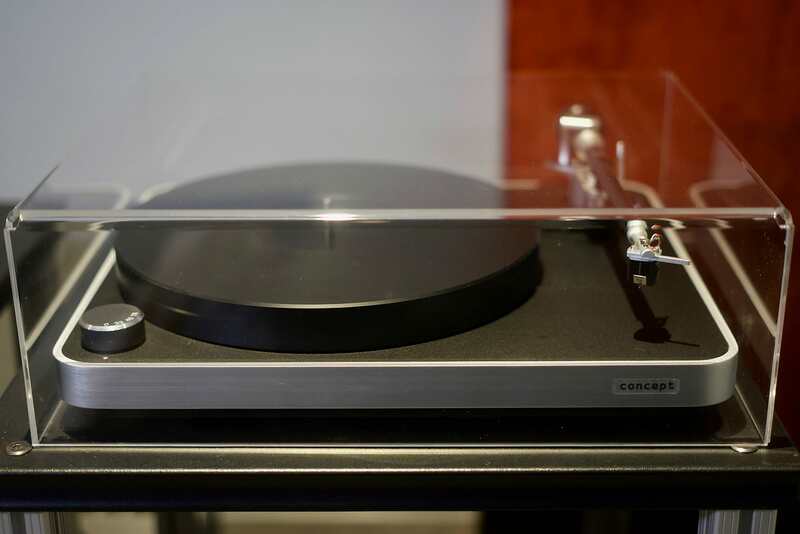 Rega Planer 8 (P8) Turntable > Neo PSU > Apheta 2 Cartridge w/$350 Full Acrylic Cover > BRAND NEW > MSRP: $4,645.00 and much more for sale listed below. This analogue set up is only 5 days old and I am selling because I had a change of heart. I still may want to set it up and use it if someone doesn't jump on it quickly but I just have so little time to use it. I have a newborn and been so busy at work. Maybe I will set it up properly next week if someone doesn't jump on it? Get this Rega Planer 8 Turntable with the much better Apheta 2 Cartridge for the same price as this table goes for with just the Ania Cartridge. The Apheta 2 is a much better cart. Also you will get the extra $350 Custom Full Acrylic Cover I ordered for it for free (see picture below of the Clearaudio Concept table for example Custom Full Acrylic Cover). It is truly a great value for someone considering this excellent all new table. Please no low balls I will just keep it and play around it and don't need to sell it. They are still making the Custom Full Acrylic Cover and I will work out the details to have it drop shipped from the OEM to your home. I will set that up with you. Please read my feedback and proceed with full confidence. This is a Fantastic value and I take care of my Audiogon Buyers! Much proven sale history to illustrate that. I ordered and bought all of this gear to fill out a full analogue front end but with my time constraint and my love for my Bricasti M1SE w/built in ethernet media player I think I will put it up on the Gon and see what happens. My impulse purchase will be a great benefit to someone! Below I also itemized a bunch of other top notch analogue gear to go with the table/cart combo as well. If you want a combo of the above items - let me know and I will cut you a nice deal. All are priced below actual value as is my custom but I will sweeten a combo deal of items. Inspired by Rega's pinnacle creation (the $45k Naiad), the company's U.K.-built Planar 8 turntable goes beyond mere evolution and enters a design realm of its very own. Engineered to squeeze out details embedded in LP grooves with a degree that belies its price class, Planar 8 is both practical and luxury analog. An ultra-lightweight skeletal plinth comprised of a polyurethane foam core, double-braced stress-beam assembly, three-piece super-flywheel-effect laminated glass platter, and new RB880 tonearm combine to provide optimal rigidity, dampening, and stiffness. A new, perfectly round drive belt and Rega's Neo PSU power supply deliver immaculate accuracy and user-adjustable control. The option of getting Planar 8 with a pre-mounted Rega Aria or Apheta 2 moving-coil cartridge heightens its levels of fun and flexibility, not to mention money-saving smarts. All that's left is your sense of adventure – and vinyl collection. Indeed, in addition to "value," "new" and "innovative" might be the operative terms that best describe Planar 8. For starters, look at the radical plinth distinguished by angles and cutouts – an ingenious design that minimizes mass while increasing rigidity and, by way of its Tancast 8 polyurethane foam core construction, presents energy absorption. The forward-thinking extends to a phenolic brace located between the tonearm mount and main bearing, adding extra reinforcement while barely upping overall mass. Then there's the triple-glass platter, a flywheel-effect type that bulks up in mass at the rim while retaining a lightness that makes the main bearing's job a breeze. We should also mention that setting up Planar 8 takes no painstaking amount of time or effort, particularly if you order with either the Rega Ania or Apheta 2 cartridge, each which is pre-mounted at the factory. All you need to do is remove the packaging protecting the main bearing and tonearm, fit the tracking weight, and set the bias. Simple! Sonically, Planar 8 immediately reveals itself as an incredibly insightful musical instrument. It plays vinyl LPs with a combination of composure, authority, coherency, control, and drive that both generates excitement and maintains a balance that evoke the sensations of the finest live concerts. You'll hear oodles of attack, sustain, and weight while also benefitting from audiophile characteristics such as clarity, emotion, and tautness. Discerning listeners and audio manufacturers often talk about the sweet spot. With Planar 8, Rega has done more than attain it – the British analog experts sit you right down within it. "While delivering each musical strand with clarity, it manages to tie everything together to produce a cohesive and massively enjoyable whole. It's this combination of hi-fi analysis and simply communicating the emotion in the music that the Rega does so well." "Rega's Planar 8 really advances the idea of what constitutes state-of-the-art vinyl playback at this price. Almost regardless of the cartridge you end up choosing, it has the remarkable ability to thrill and entertain and is an exceptionally well-thought-out design that really delivers." "If you are looking for maximum musical intensity for your pound, dollar, or euro you will be very hard pressed to find a better turntable at anywhere near this price. I am a Rega RP10 user myself but I've been hearing new things on this newcomer at nearly half the price, it truly is a triumph of analogue audio engineering." A super-lightweight plinth combines with a phenolic resin double brace mounted specifically where the increased rigidity is required (between the tonearm mounting and the main hub bearing), forming a structurally sound stressed-beam assembly. Planar 8's rigid plinth design prevents energy absorption and unwanted resonances that add unnatural distortions to the music. Similarly, heavier mass can transfer more unwanted energy – such as motor or bearing noise – directly into the rotating record. The use of braces instead of the complete skin allows double-thickness phenolic resin in key areas while providing further weight reduction to the plinth, directly addressing the issue of mass absorption and unwanted energy transmission. The Planar 8 is the second Rega turntable constructed using the ultra-lightweight Tancast 8 polyurethane foam core, a material developed for the aerospace industry. This foam core comes sandwiched between two layers of HPL (high-pressure laminate). HPL is exceptionally thin and extremely rigid. The innovative construction makes Planar 8 skeletal plinth 30% lighter than the original RP8 while offering increased rigidity over the prior model. Rega introduces the RB880 tonearm, equipped with an improved vertical bearing assembly constructed using an aluminum and stainless-steel, low-mass assembly with vastly improved stability and rigidity. RB880 employs Rega's advanced, preloaded zero-tolerance bearing assembly adjusted to less than 1/1000th of a millimeter, giving friction free movement and zero levels of unwanted play. The subtle structure is only visible via small windows at the rear of the new bias housing assembly. A thinner stainless steel balance weight also allows greater adjustability and compatibility. In addition, RB880 is terminated with a redesigned, low-capacitance phono cable terminated with high-quality locking phono plugs for excellent connection. Planar 8 employs a three-piece laminated-glass platter constructed from two different high-quality Pilkington glasses. As a general rule, the platter is the only part of a turntable that requires extra mass – to achieve constant rotational speed. However, a heavier platter creates more problems for the main bearing design, meaning an ideal compromise creates the best solution. Practically speaking, it relates to keeping as much of the mass to the outside rim of the glass platter to create more flywheel effect but keeping the inside of the platter as light as possible without sacrificing stiffness. Planar 8 features Rega's latest-generation, 24-volt, synchronous, low-vibration motor technology. Uniquely mounted using the highest level of coupling while retaining higher vibration isolation than on any previous Rega model, the new motor-mounting technique (mounted from the bottom) borrows from Rega's cost-no-object Naiad. The unique mounting method removes all stress on the motor body. In effect, the reduced vibration and more rigid mounting delivers superior drive from the new EBLT drive belts. Each motor is hand-tuned to match its own custom Neo power supply before fitting to the turntable in order to optimize the anti-vibration circuit. Rega spent three years researching and developing the use of a bespoke rubber compound for drive belts. The result of a specialized curing system, the new drive belt offers superior consistency of modulus (a constant representing the degree to which a substance has a particular property, especially elasticity). EBLT belts are manufactured on Rega-designed, super-accurate tools that produce perfectly round and dimensionally accurate belts, critical for ideal speed stability. Rega's Neo Power Supply Unit affords electronic speed change, advanced anti-vibration control, and user-adjustable electronic speed adjustment. Built upon a high-stability crystal, Neo PSU's DSP generator divides the accurate signal from the crystal to the exact frequency needed to turn the turntable platter at the given speed. It also produces near-perfect sinusoidal waveforms to drive the motor, ultimately generating a 24V AC balanced signal with amazingly minimal distortion. Planar 8 uses a new, low-mass central bearing assembly in which a single-piece machined aluminum sub-platter and hardened-tool steel spindle run inside a custom brass housing cleverly mounted within the chassis. The mounting eradicates unwanted potential energy being transferred or stored in the plinth. The great products are located on the North Shore of Boston, MA.